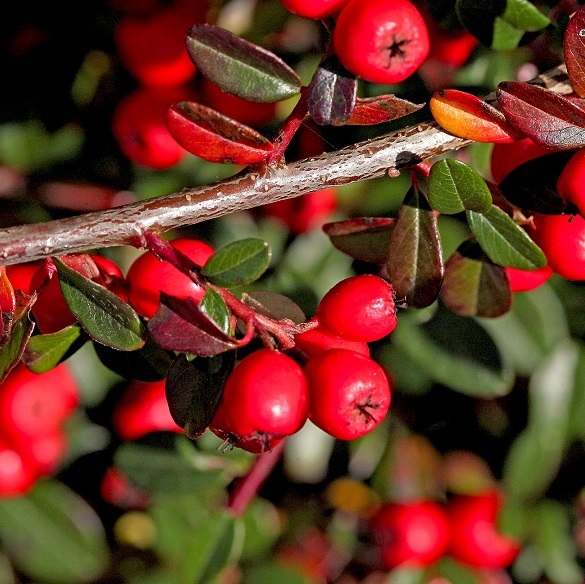 This non-native invasive shrub comes in endless varieties and is spread by birds. 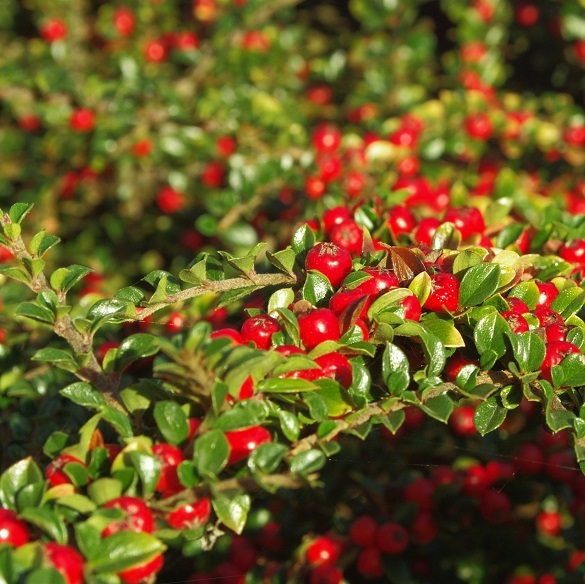 The plants out-compete native vegetation and can be difficult to eradicate. They are especially problematical in limestone cliffs, pavements and screes. 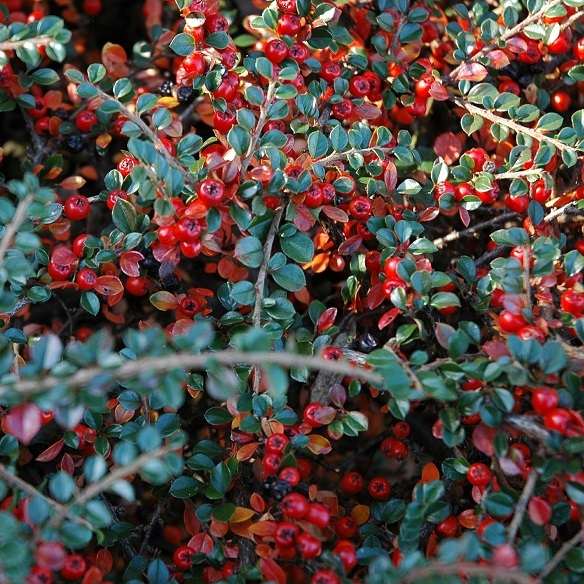 The plants are distinctive in character, with small, dark green waxy leaves, creamy flowers in late spring and early summer, followed by bright red berries in autumn. 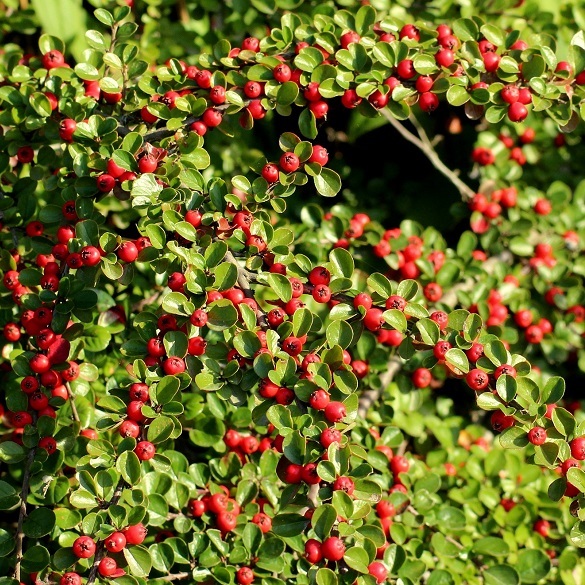 The berries are often visible on the plants well into spring the following year. Still not sure? Email us a picture to expert@environetuk.com and we'll verify it for you, free of charge.